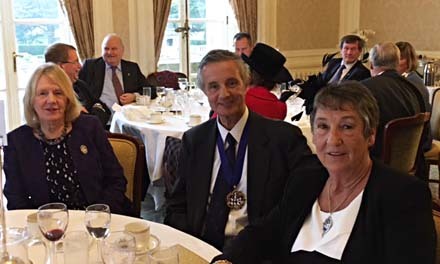 The annual Luton Lunch was held on February 9 2017, in the grand setting of the Hotel at Luton Hoo. It had been decided to try a new venue and thanks to the good offices of Past Master William Horsman and Vivianne Vayssieres who were closely involved with the domestic arrangements, we were given sole use of The Sitting Room for Lunch; elegant but intimate and with beautiful views of the park through the windows. 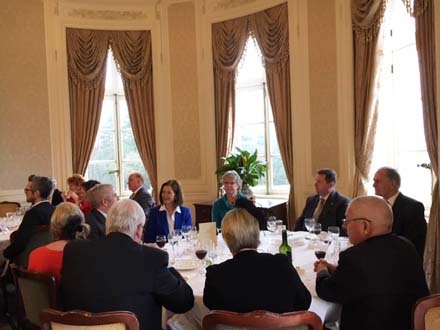 A good number of 44 Liverymen and guests sat down to a delicious three course lunch with a main of lamb and some well chosen wines. 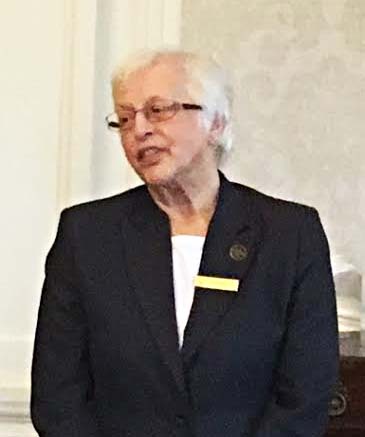 Our guest speaker was Zena Dickinson, the House Historian, who gave us a fascinating history of the House and surrounding park. The house was designed in the 1760’s by Robert Adam for the Earl of Bute, then Prime Minister, and the park by Capability Brown. The house was extensively remodelled in 1903 for the diamond magnate Sir Julius Wernher and has since had close connections with the Russian and British Royal Families. 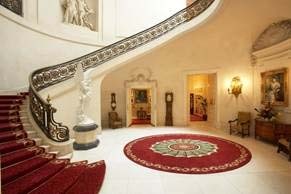 It fell into sad disrepair following the tragic premature death of Nicholas Phillips but following purchase by Elite Hotels has been restored to its’former glory and now provides dining facilities, hotel bedrooms and a golf course and health spa as well as housing the legendary Fabergé collection. As Zena has worked at the Hoo for many years, she was able to provide us with personal insights into the more recent history of the estate. The Master brought proceedings to a close by thanking our speaker, the organisers and the catering staff. It was widely felt that the ”experiment” of a change of venue had been a triumphant success. In addition to the usual conviviality provided at a Feltmakers’event, the opulent surroundings had provided a large bonus and a majority of those attending would be happy to repeat the experience next year. We hope for an even larger attendance on that occasion.